This 1200mm x 800mm 2nd generation leak free and fast build shower cabin is part of our Insignia Premium range. 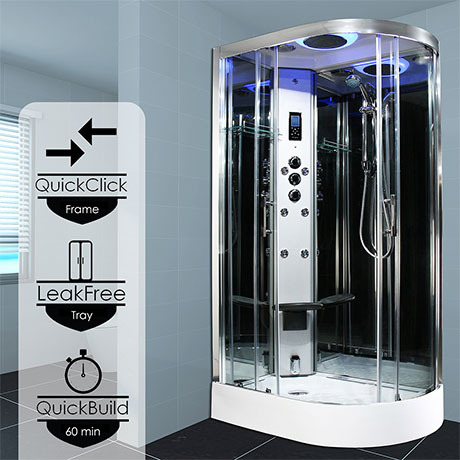 With one touch steam control, your choice of music using the Bluetooth control and the ambient multi-coloured lighting, your relaxation is augmented further in this Premium steam shower enclosure. By purchasing Insignia’s 2nd generation Premium level shower, you own the best leak free tray design currently on the market.